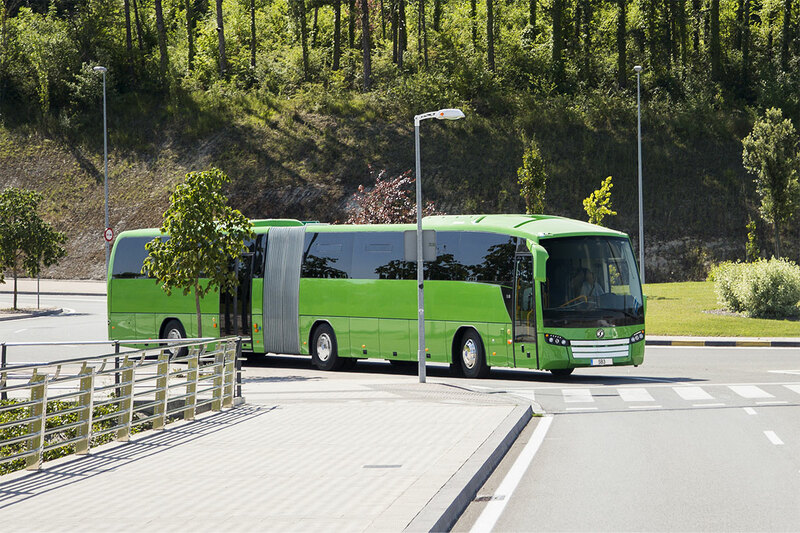 Designed for urban and interurban service, the SB3 maintains the coordinated look of our other vehicles, sharing that common style that sets them apart. 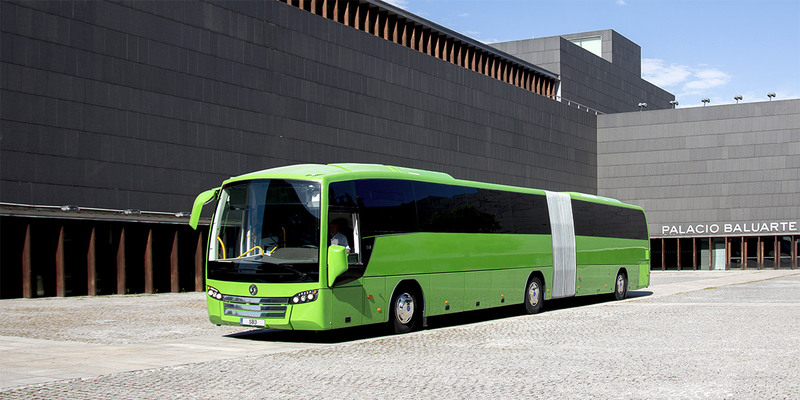 It is focused on short- and medium-distance routes and offers great interior modularity and versatility. 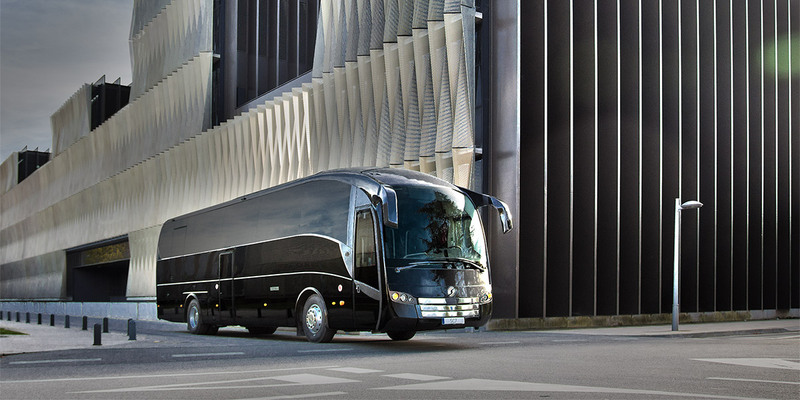 It is available in high-floor and low-entry versions in all two-axle rigid, three-axle rigid and articulated models. The SB3 shares the consistent brand and product image of all Sunsundegui models. Its wide windscreen comes with Optikool treatment as standard and the headlamp assemblies are interchangeable with those of the SC5, providing an elegant, unified image across the range. Standard bihalogen headlamps with five daylight LED points, sharing the design with LED rear lamps. The back of the engine bay cover also has that special geometry that greatly enhances engine ventilation while preserving the unmistakable Sunsundegui look. Electrical doors are standard, double at the back and single at the front, where the opening system resides. 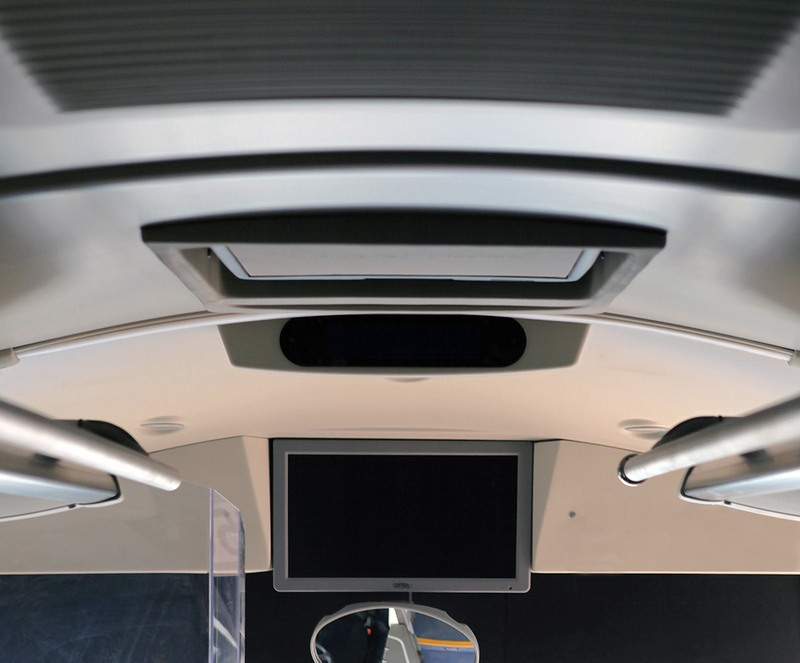 The SB3 features asymmetric mirrors, providing the driver with a view through the side window, just like a car. The side window has a standard electrical control. The mirrors are designed for enhanced manouverability, a key aspect for a vehicle that is going to spend a good part of its service life in urban settings. Its interior design focuses on amplitude and both the luminosity and the handrail network for standing passengers provides an attractive, harmonious image. The dashboard has been renovated, just like in the SC5, with the fluid, elegant lines of a cutting-edge design. The SB3 has three locations for electronic signs: at the front, on the side and at the back window. 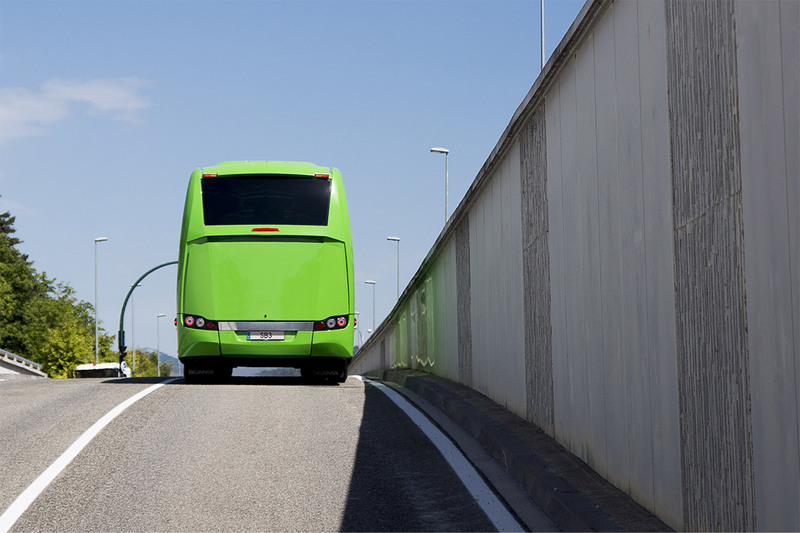 For Sunsundegui it is very important to equip its vehicles with the latest safety technology. 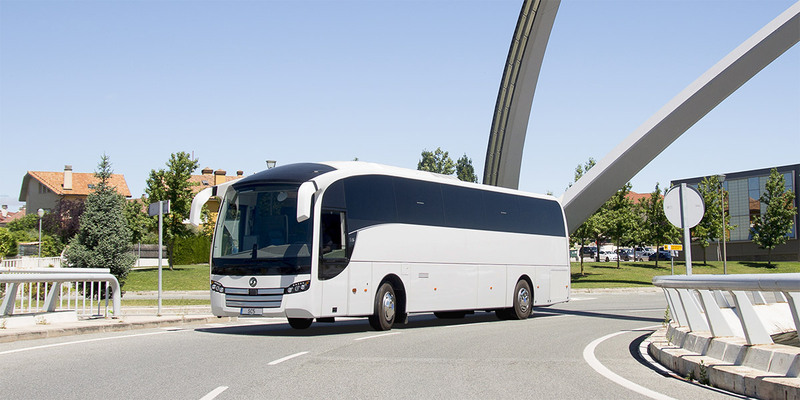 In this sense and in addition to complying with the rollover regulations (Regulation 66.02), its front structure is reinforced to absorb impacts, thereby providing greater protection for both driver and passengers. Both front panel and bumpers are factory ready for the installation of automatic braking and lane change systems. Exterior mirrors have an anti-collision system that folds them ion case of a moderate blow, both inside and outside. They are designed for maximum vision, comply with school regulations and are heated. With profitability in mind, the SB3 has easy access to front and rear lamp maintenance and engine cover. 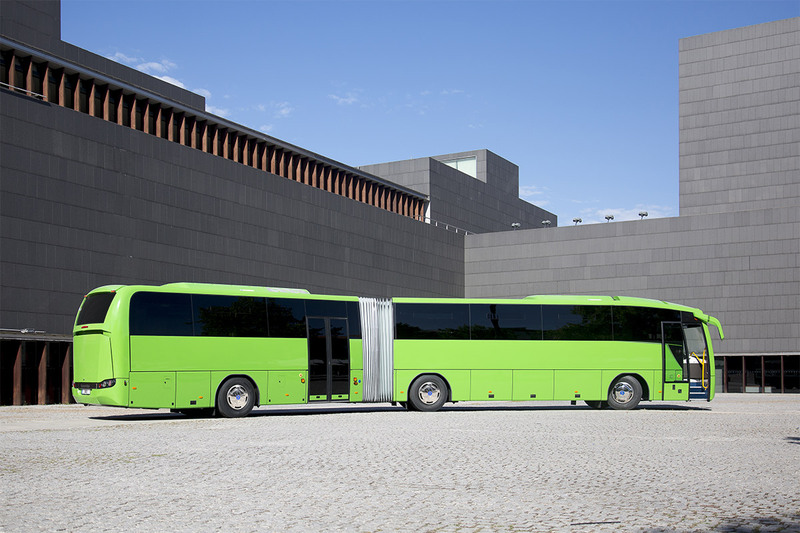 The modular design is is focused on easy maintenance of electrical installations, heating, air conditioning and chassis. The front and rear polyester corner panels are detachable and independent and can be changed quickly and easily. The electrical switchboards (both chassis and body) have been placed in a single location for easy access. In the Low Entry version, it is located behind the driver’s area. The multiplexed architecture includes air conditioning and the connection to the rolling chassis. It has a standardised fault diagnosis system for all vehicles that is shown on a dashboard display. 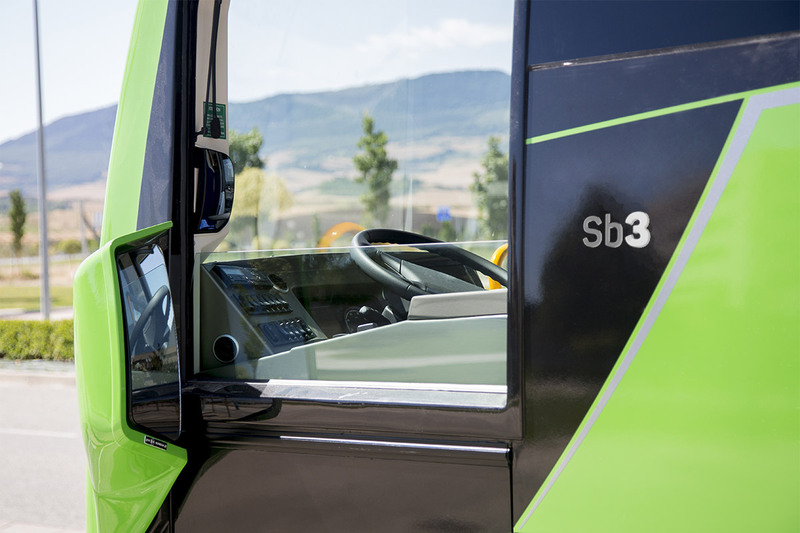 The SB3 is designed with ergonomics in mind, to ensure that the driver can work in a comfortable and relaxed manner. To this purpose, a large raised driver’s area affords greater control of surrounding area. It can be closed by means of a rear screen and a side door, and vandal-proof locks are also available. Rear-view mirrors are strategically located to prevent forced postures and the vehicle has a one-piece, motor-driven, see-through blind on the windscreen with an opaque strip at the beginning to prevent glare. 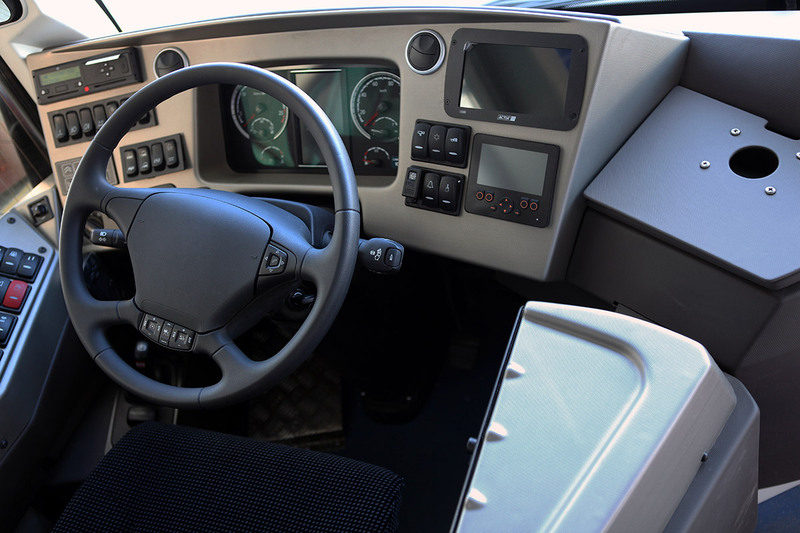 The driver also has a comfortable, ergonomic seat as well as easy access to all vehicle controls and demisting as standard with a cold function as an option. 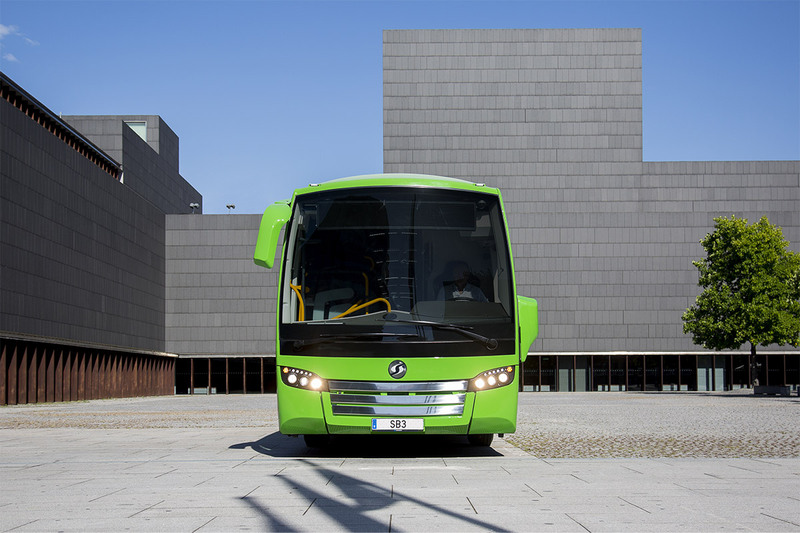 The SB3 is conceived to give users a pleasant journey. It has a wide access to the interior of the vehicle and its solid structure provides a quiet ride. 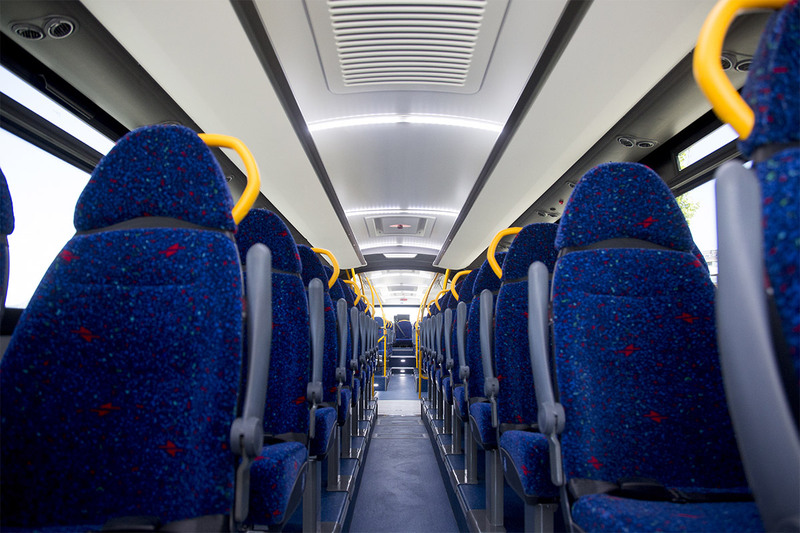 Individual vents and lamps can be installed, and modular luggage racks are also available. 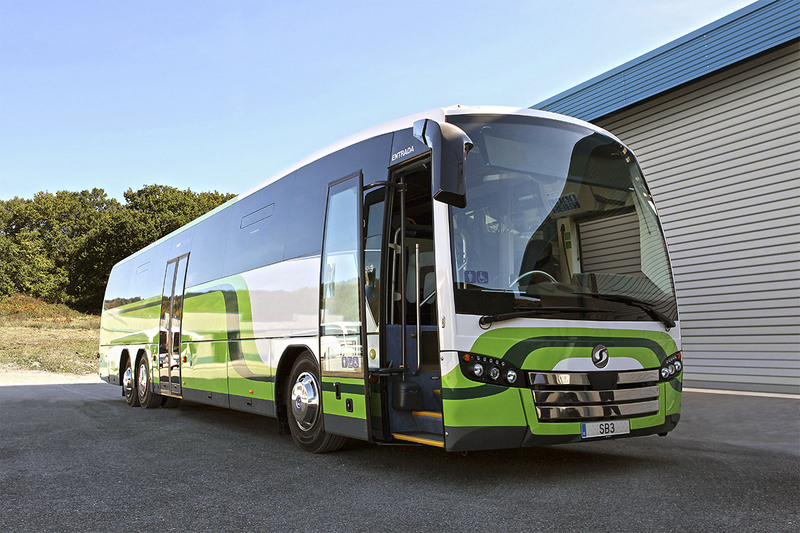 Standard equipment includes a radio, USB socket for audio and video playback, hands-free communications, a digital amplifier and and integrated multifunction display. Its spacious interior includes perpendicular LED lighting in the centre of the ceiling and comfortable seats for the seated passengers. The SB3 also accommodates numerous installation modifications (audio, video, monitors, SAE, CCTV, USB ports in handrails, etc.) 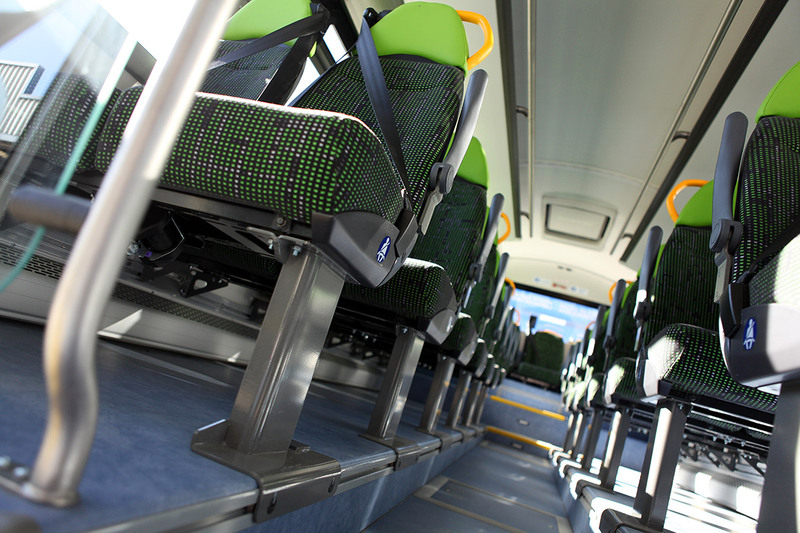 as well as different options in seats and standing places, positioning and location of the lifting platform, different safety rail layouts, luggage rack handrail and more.